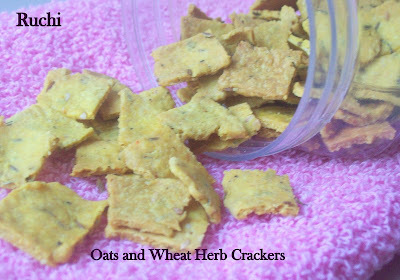 I prepared this Savory Herb Crackers with low fat, loaded with the goodness of oats flour, Wheat &Herbs. These Baked crackers tastes marvelous and crispy, perfectly seasoned with a unique blend of dried herbs for a new flavor. Each serving of these tasty little Savory Herb Crackers is a good source of fiber and a delicious way to help satisfy your afternoon cravings! 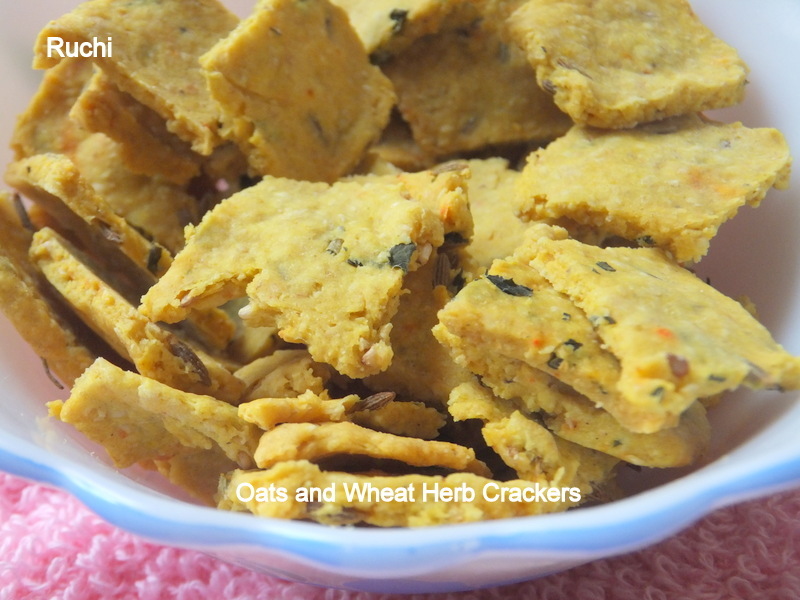 We enjoyed these crunchy, savory crackers with Hot, frothy, filter coffee on a rainy day evening! 1. Grind the oats in your blender or food processor. Do not over-process. oats should be coarsely ground. 2.Mix all the ingredients together and add enough water to make a firm dough. 3.Knead the dough gently until smooth.Roll out, using a little whole wheat flour to 2 mm. thickness. Cut them into squares or rectangles using a knife. Crunchy, crispy & so flavorful with all those herbs!!! Loved it!!! Highly addictive crackers, love to munch some. Wonderful snack, love the flavors!